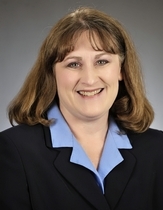 She ran unsuccessfully for the Minnesota House of Representatives in the 2008 election. She was a member of Cedar Valley Church. Cook, Mike. "From Volunteer Advocate to Member." Session Weekly, St. Paul: Minnesota House of Representatives Information Office, February 4, 2011, p. 17.